You know what they say – ‘Drive for show, putt for dough’. There really isn’t any doubt about the importance of putting in the game of golf. If you want to shoot low scores, you have to putt well – it’s just that simple. Even at the top of the game, where all of the players have incredible skills, it is often the putter that separates the winner from the rest of the field. If you would like to lower your average score, there is one thing that you need to do above all else – make more putts. With that in mind, it would be great to get as much putting practice as possible. Of course, you have other commitments in your life, so you can’t simply spend all day, every day at the golf course working on your stroke. However, with the right pieces of equipment on your side, you can squeeze in some quality putting practice even when you aren’t at the course. In this article, we are going to take a look at some of the best tools on the market today for indoor putting practice. By adding just one or two of these pieces to your golf collection, you can set yourself on a path toward making more putts in the very near future. 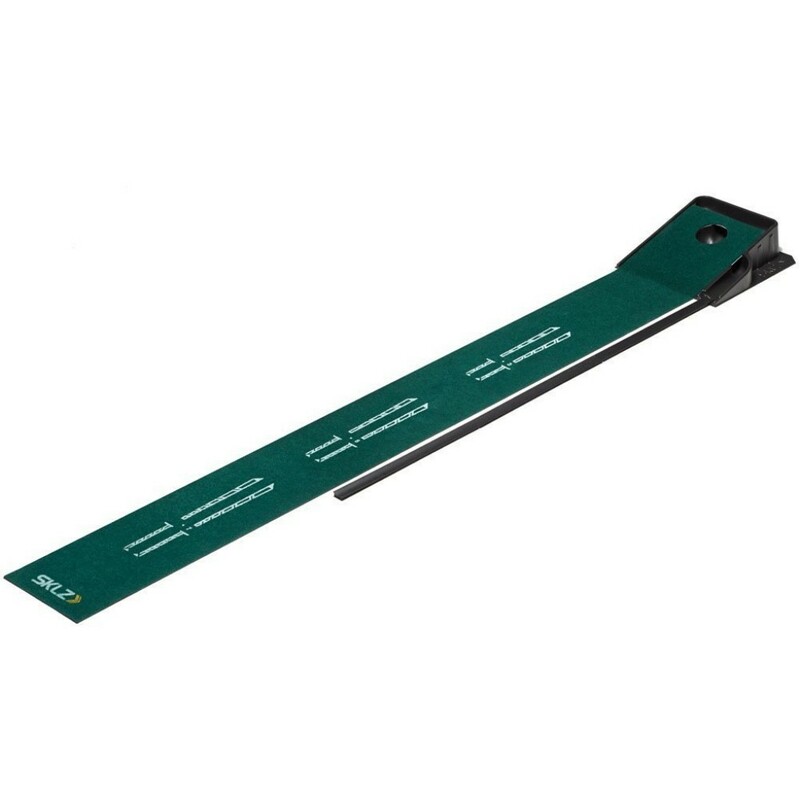 The first piece of indoor putting practice equipment that you should look for is a putting mat, such as this model from SKLZ. While you might be able to putt on the carpet or wood floors in your home, that will never quite be the same as using a mat that has been specifically designed for this purpose. With this SKLZ mat, you will get a fast and true roll, similar to what you would experience out on the course (on a course with good greens, at least). This specific mat has a couple of features which allow it to stand out from some of the other options on the market. One nice feature is the ball return that comes down the side of the mat, meaning you won’t have to go walking after your golf balls after each set of putts. Not only does the ball return save the effort of going to retrieve, but it also saves you time – meaning you will be able to fit more practice putts into your session. The other nice feature included in this mat is the set of marking lines that have been placed on the artificial surface. These lines will help you to get your putter square at address, a key fundamental for anyone hoping to make more putts. You will be surprised at how many more putts you can make just by getting lined up correctly, and this mat will help you do exactly that. 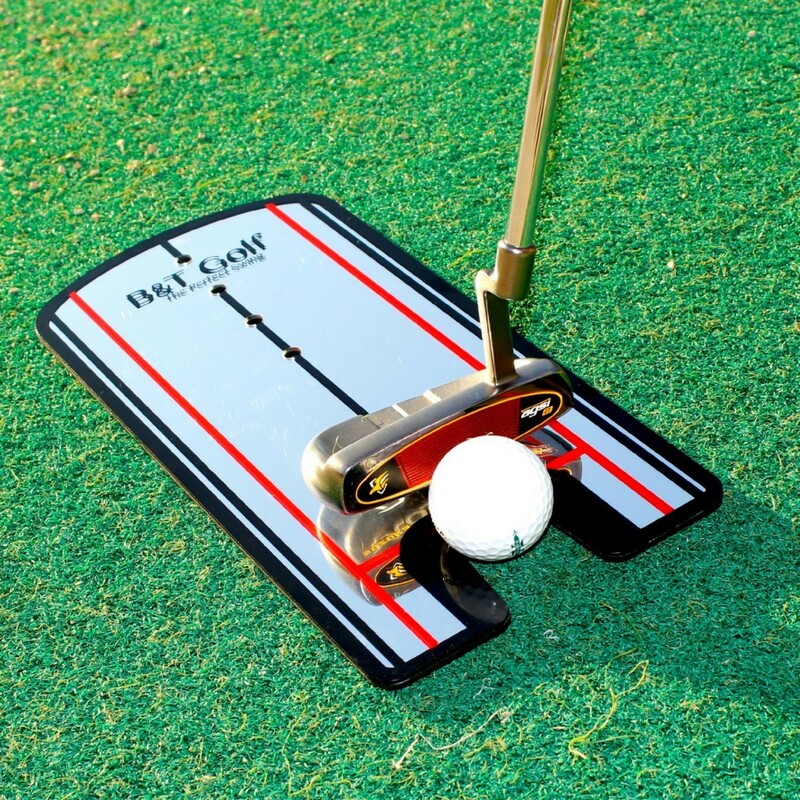 By adding this putting accessory to your home or office, you will be able to hit as many practice putts as you would like each day – and you will likely see improved results on the course in short order. Do you already have a surface in your home or office that is suitable for putting? 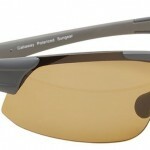 If so, you may only need a target – which is where this next product comes in handy. 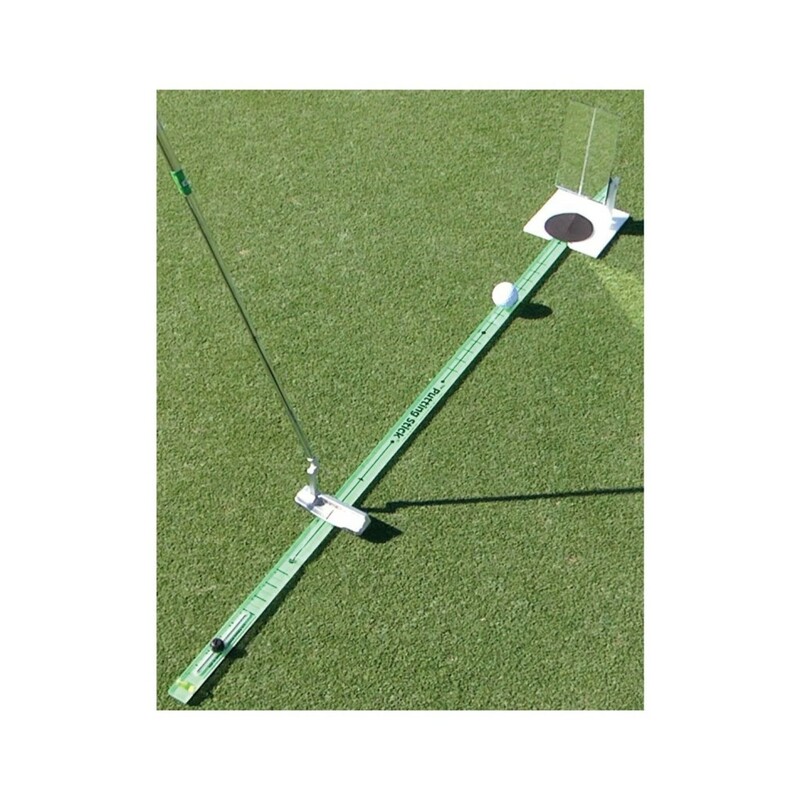 The JEF World of Golf Automatic Putting Cup will send the ball rolling back to you after each made putt. This is a tool that is not only helpful in your practice, but it is a bit of fun at the same time – there is something satisfying about seeing the ball shoot back to you after rolling it right into the middle of the cup. Since this unit is battery powered, there is no need to drag a cord across the room for power – simply set it up wherever you would like and start putting. 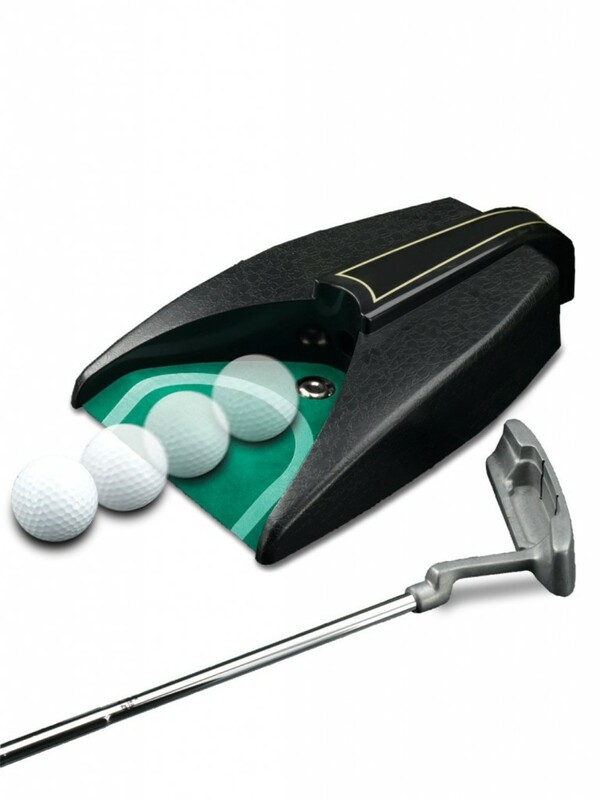 This is a putting practice tool that you can use indoors at home and you can take it out to the course as well for practice on a real green. The Golf Putting Alignment Mirror Training aid from B&T Golf is a great way to check on your positions both before and during the stroke. Before you start your stroke, you want to make sure your head and eyes are positioned nicely over the ball – which is a simple job thanks to the mirror finish on the top of the training aid. Also, there are plenty of alignment lines all over the product, making it easy to set your putter square to the target line each time. This unique tool is another putting aid that can be used both inside and outside. If you feel like you struggle to strike the ball cleanly on a consistent basis with your putter, this is an aid that is worth a closer look. By forcing you to roll the ball along a thin stick, this training aid doesn’t let you get away with any kind of miss-hit – either you strike the putt cleanly with a square face, or the ball will quickly fall off track and you will realize your mistake. In addition to the putting track that demands impressive accuracy, there is also mirror to help with alignment and a backswing stop to teach you distance control. There aren’t many putting aids on the market with the number of different features that are included with this item, and that fact alone makes it worthy of your attention. The last item on our list is another offering from SKLZ, and this one is designed to teach you the perfect plane for the swing of your putter as it moves back and through the shot. Swinging the putter on the proper path is crucial for the consistency of your stroke, as using a good path will make it far easier to hit the target line time after time. Also included with this product are tee-hole positions which can be used to stop both the back and forward motion of your stroke. Depending on the length of putt at hand, you can use these tee-hole positions to adjust your stroke length and master your distance control from a variety of ranges. 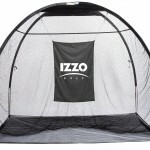 It is easy to use this device with any putter, and you can use it both indoors and outdoors. Any of the five tools included above should be able to help you make more putts – provided you put in the necessary practice time while paying attention to the fundamentals. 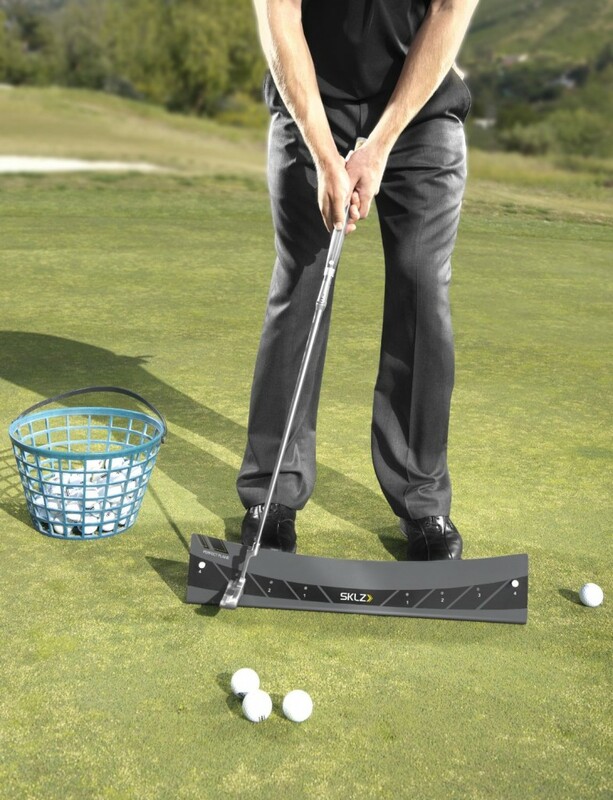 Remember, no training aid is going to make you a better putter automatically. All improvements will require focus on the basics, while using the tool you select to help point you in the right direction. Good luck and here’s to lower scores!